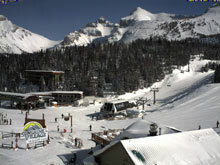 This website provides information on ski holidays and tours in Western Canada. We no longer offer a booking service. Our ski holiday locations in Canada include Banff, Lake Louise, Canmore, Kicking Horse, Jasper, Fernie, Kimberley, Whistler and Panorama. Come ski Banff National Park in the Canadian Rockies with us. Three ski resorts (Banff Norquay, Sunshine Village, Lake Louise), two towns (Banff and Lake Louise) and one ski pass (Tri-Area Pass) - start your countdown! We have a range of ski accommodation in Canada from mid-range to high-end hotels, apartments and resort homes. We have featured some, but not all of our ski accommodation in Canada so please contact us with your preferences. Our ski holiday package extras include ski lift passes, ski and snowboard rentals, ski and snowboard tuition, airport and private transfers, car rentals and ski package specials to complete your ski holiday in Canada. By pre-purchasing you ski extras you will save money. Want a break from downhill skiing or boarding? 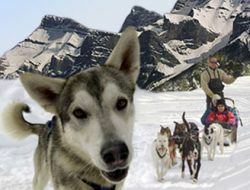 We have all kinds of other winter tours such as snowmobiling, dog sledding, NHL ice hockey tours, snowshoeing as well as heli-skiing and ski-away trips to other ski resorts in Canada. When you pre-book your ski lift passes you will receive the lowest rates. Please note that in some instances, lift passes must be purchased with hotel accommodation. Combine free nights and free ski days with ski package discounts for ultimate savings.